Windows 8 System Image Tool, Where did it go? 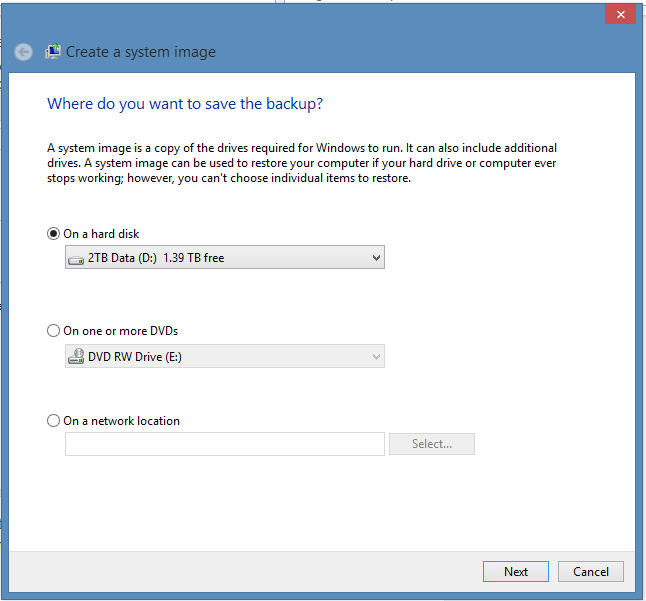 Here is how you can do a full disk image of a Windows 8 system. If you are like me and just finished setting up your shinny new Windows 8 system, you installed all of your non-metro apps, you activated all of your professional software and now thought, “damn good time to take a image” then had a hard time figuring out where it went…. you are not alone. 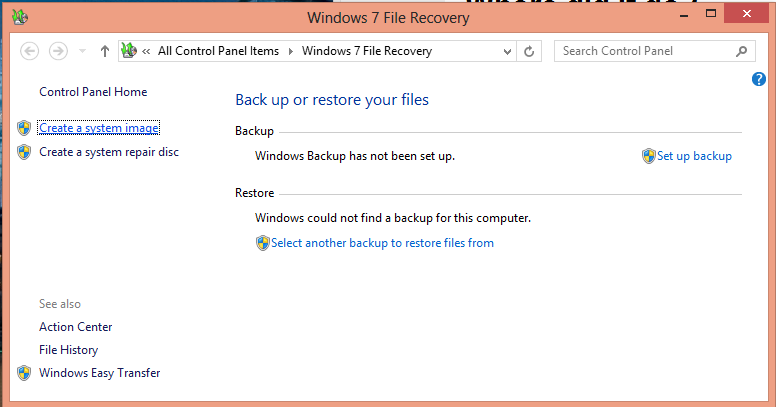 In what looks like a ridiculous and frustrating war between Microsoft and Windows Desktop the backup tool is now called “Windows 7 File Recovery”. They also took out direct links to “create a system image” as well. Yes you are not losing your mind, its not Windows 7, nor is it only file recovery, it’s the only place to get to total system imaging. Simply Search Metro for “Windows 7 File Recovery” and click the Settings area on the right and you will find it. I believe this only works when doing and upgrade from Windows 7. I did a clean install and this is not showing for me. Samuel, I never do upgrades and have always seen this option. This was Microsoft Marketing just calling it Windows 7 for some unknown reason not thinking of the search ramifications. I wish I had read the screens more carefully when accessing the new Control panel. As my previous post here, I did a clean install of Windows 8, I went from Windows 7 Ultimate to Windows 8 pro with MC. Typing the search did nothing. I went to the control panel and looked into File History and at first glance nothing. But look and behold that on a kind of fine print at the bottom on the left corner it said see also: Windows 7 File Recovery. That is the only way I could find how to access this little gem. Hope this information is of use to someone.